Hearing Aids are a tiny piece of technology. Even after being in such small size, it contains various sophisticated parts to perform some advanced functions every second. What will be the biggest question in a hearing aid wearers mind? Is it possible to repair a damaged hearing aid by any chance? As they are so expensive every user will try to have a repair option for their hearing aids rather than buying a new hearing aid. The answer to this question is “Yes”, in most cases hearing aids repair is possible. But there will be some cases when it is not possible to do so. Hearing aids are used to sit inside or behind your ear, they are exposed to the component that is not exactly ideal. Humidity, earwax, moisture, and debris can each affect the performance and longevity of the hearing aid. But still, the majority of repairs service that clinics and all manufacturers see are simply to remove wax and debris. The scenario says, even if you provide high maintenance to your hearing aid, it will still wear out after some time in its typical lifespan of 5-7 years. As time takes its toll on everything, including technology. And there are chances that it may happen with your hearing machine through the course of normal use. Though replacing the damaged hearing aid may be the best option, but you must try to get it repaired first, as it may solve the issue. If there is no sound from the hearing aid. Already tried troubleshooting and the aid is still not working properly. If the sound from the hearing aid is not loud enough. If you hear an unclear or cracked sound from your hearing aid. Excessive feedback and whistling signals about the improper fit, especially in a custom hearing aid or BTE earmold. This may be because of the change of shape and size of the ear over time. If the damage is irreversible, such as a cracked case or a visible hole in the shell or faceplate. The circuit can short in many conditions. If the earmold tubing is loose or needs to be replaced (generally after ever 6 months). If you need to change the batteries of hearing aid much more quicker. For all these repairs, there are many walk-in clinics where you need not take any prior appointment. Some clinics also offer postal repair service. But regular cleaning, routine maintenance, and diligent care will go a long way to keep hearing aids in your ears and out of the repair service shop. In these cases, you can’t run to an audiologist every time. You need to learn to fix this on your own. Troubleshooting step helps you to overcome the simple issue with the hearing aids. If the troubleshooting does not improve the quality of sound then you can move to a repair center for the examination and repairing of the hearing aids. If you listen to a distorted sound from your hearing aids. Clean out the possible earwax from your hearing aids. The hearing aids are the small and sophisticated device which captures dust and earwax easily. So, the regular cleaning of hearing aids can provide clean sound without interference. Still, if you are unable to listen clearly then, do check with the hearing aids battery contact which can be corroded. Do check the power to a Hearing aid is On or not. Usually, the power and sound buttons are similar to each other on the hearing aids. And you might switch-off the power button instead of the sound button. It can happen to anyone so be sure that you touch the right button as the hearing aids don’t work when they are switched off until the power is On. Check if your ears are clean or not. There could be a chance that there is no problem in the hearing aids but in your ears. Built up earwax or foreign particles in the ear canal can let no sound to transmit up to the eardrum which can cause hearing loss. So do check the reason behind whistling is either your hearing aids or your dirty ears. There are more than enough ways to remove wax from your ears but avoid cotton swabs to the ear which can rupture the eardrum. Test the hearing aid batteries. The daily test of batteries, which generally last around once or twice a week. With a battery tester, you can assure that your hearing aids batteries are operating at its full strength so that your hearing aids are working at peak performance as an outcome. It’s suggested that you always have a spare pair of batteries stored in a cool, dry place. Also, keep in mind that batteries are toxic and should be handled with care. You can also follow these steps for effective working of your hearing aids batteries. Keep your hearing aids battery dry. Detach the battery from hearing aids before placing them inside the dehumidifier. Test the voltage of the old battery through the hearing aids battery tester, before applying the new one. Don’t use a hair dryer to dry your hearing aids battery. Check if the sound of a hearing aid is On or not. Increase the volume if you have manual control. Do the listening check and to behead this exercise, make an attempt to listen to the hearing aid regularly through a listening tube. Doing so on may help you to make sure that they produce clear sound, as opposed to scratchy or weak. If this does not help then, your hearing might have got changed for which you need to schedule a visit with an audiologist (1800-121-4408). How Much do the Repairing Cost to an Individual? Whether it is under warranty or not. Rs 20,714 – Rs 27,618 for any mechanical repair such as a microphone, receiver, short in hearing aid, water damage etc. Rs 34,523 – Rs 41,427 for re-casing or faceplate replacement i.e. the shell of the hearing aid. The repairing cost also varies according to the model and features of the ear machines. Some of the replacement parts such as casings etc. have their own warranties. If the hearing health professional unable to repair your aid, then contact with some reputed independent labs. Normally, the Hearing Aids manufacturers companies provide the 1 to 2 years of warranty. These companies also provide the complete replacement warranty in case of broken or missing parts of the hearing machine. During the warranty period, you can change or repair of the hearing aids is free of cost. One thing is most important that is before the purchase of the hearing device, you should check the warranty period on the warranty card of the hearing machine. After the warranty period, you will be responsible for the pay of hearing aids repaired. Basically, the lifespan of hearing aids is 5 to 7 years. So, you can use the hearing device by repairing for some time. If the hearing aid is still under warranty, the repair cost will be minimal – if there is a charge at all. The hearing aid which is not under warranty will cost more to fix, minimum of Rs 20,147 and they can add up quick. It will be repaired within 4-5 business days. In most of the cases, when repair is done, the repairing lab includes the 1-year warranty on their work. So if anything goes wrong, you are still insured for the next year. Not all repairs are chargeable. It may be free of cost if done while office visit. And sometimes it is all, what it requires to work properly. Since hearing aids are very temperamental, one day they’ll work perfectly, the other day they may not even turn on. There are many types of insurance available for various purposes, such as health insurance, life insurance, car insurance, and even phone insurance. So it will be a good idea to look into insurance for your hearing aid as well, though it is not very common. As these hearing aids are really important for your health and hearing, so it needs to be protected from getting damaged. It comes with a limited warranty (for a year or two), so it will be a nice idea to invest in some insurance to provide extra coverage for your ear machine. 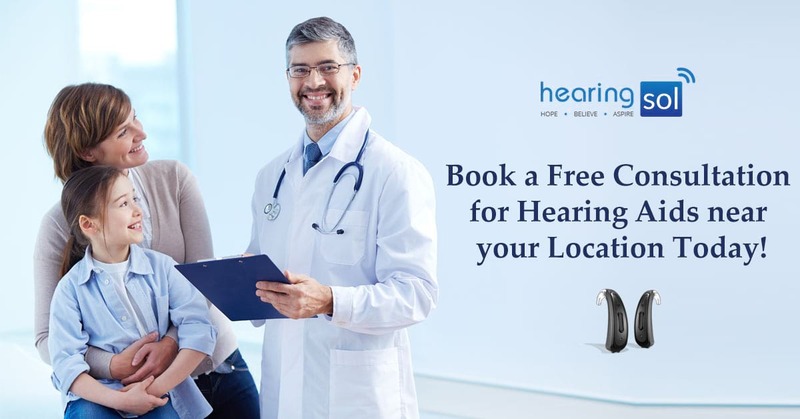 There are some private health care plans which cover the costs of audiology tests, hearing aid evaluation, and even partial or full coverage of a hearing aid. You may ask for the inclusion of audiology services in your plan if they are not included. Medicare doesn’t cover hearing aids but Medicaid often does cover hearing aids and related services for adults, and it must cover them for children as well. Hearing Aids comes with a limited warranty (for a year or two) based on its level of technology. While some hearing aid providers (like Audicus) may increase the limit so that you can purchase it, that cover factory defects or faulty workmanship. Still, it will be beneficial to search for other hearing aid insurance which may cover situations like water damage, lost hearing aid, and hearing aid repair. For any high-end device, the price averages approximately Rs 20,714 a year per aid. This may seem expensive, but the average cost of a hearing aid is around Rs 1,58,804. After seeing this, it will probably a wise decision. It can ensure both, replacement and repair. Ear Service and Midwest offer cover for all types of hearing aids and replace it in case of loss or damage with the same model. If not so, then with a comparable model. Whereas Starkey hearing aid manufacturer will cover replacement of lost or damaged product with a Starkey product only. Is it Worth buying Hearing Aid Insurance? People always go for insurance for their important valuables. So, Why not for hearing aids? You must go for insurance, but not right away. While buying your hearing aid, you must check out the time period of the warranty. The warranty period should cover both replacement and repair. Replacement will be a one-time offer, which includes loss. Once the replacement is done, the warranty is no longer in effect. After which you need to buy insurance. In today’s time, it will be a wise idea to buy insurance for these small but mighty pieces of technology. They have a tendency to get lost or damaged easily. Hearing aid insurances are very affordable, and with it comes the peace of the mind, which is worth the price. There are situations when you may need an emergency repair for your hearing aid. There are various repair labs that provide such facility. At Hearingsol, we provide emergency repairing service in India & all over the world. Visit our clinic or dial our toll-free number 1800-121-4408 to get further details. We have ample experience in this field. Our trained technicians who have repaired over 20,000 hearing aids. We repair all types of hearing aid models and “if we can’t repair it, we will not charge you anything”. Inspecting the parts of the aid and assessing the damage. Repairing and cleaning the hearing machines. If any part is required to be replaced, order it. 4-5 hours of testing on the computer to see if the repair works or not. Deliver the repaired product to the hearing aid wearer. If you have a hearing aid device, you should know that they need appropriate measures or care in order to continue proper function. When you first receive your hearing aid device, the audiologist (1800-121-4408) will tell you, how to take care and check them often for optimal use. Perhaps you might have received tools such as a battery tester, forced air blower, listening tube, and drying container to help with these measures of regular care.